When was the last time you completed a Google search? And this includes talking to Siri or Alexa to find the answer to a question. I’m going to guess that it was only a couple of hours ago or maybe a day or two. Whenever the last time was, it can’t be that long ago because Google has become an integral part of our life. There are an estimated 6 BILLION searches completed worldwide in a day. This means that you have the chance to reach thousands of people that are searching for your website or business on a daily basis. But without SEO work, your website won’t be found on Google. And without SEO work, you are wasting a critical opportunity to reach your audience who is already searching for you! And I’m going to guess that this is why you are here. Because you want to learn more about SEO for beginners to get your feet wet in the world of SEO. So let’s dive on into the deep end! With SEO, you increase your chances of being found on Google. There is no guarantee that you will appear first in a Google search, or that you will appear on the first page of Google. But with SEO you increase your visibility on search engines so that you appear in front of those people that are searching for the content that is on your website. This is where most people get confused because salesmen will pitch that they can get you on the first page of Google. And if you ever hear this pitch from an “SEO specialist”, turn around and run. They are lying to you and are likely to perform bad SEO work on your site that Google will penalize you for later. To keep it simple, SEO is extremely important for the long-term success of your website. If you want your website to naturally generate traffic without you having to promote it on social media every day, then you need to pay attention to your SEO. You can’t rely on constant promotion to generate traffic. You need your website to generate traffic on its own to bring you quality leads. Otherwise, what is the point of having your website! Start to organically grow your website with SEO today, and you’ll slowly learn the importance of SEO and your website. I’m going to be completely honest with you. Because without honesty, you wouldn’t believe anything else I say in this blog post, right? SEO is extremely complicated. Can anyone learn how to SEO a website? Probably. But can everyone perform all of the work that is needed to SEO a website to the utmost level? No. SEO is constantly changing and evolving. Over the past year, there were 1,653 changes that Google made to the algorithm. And as it changes, it gets more and more complicated. And there are some areas of SEO that are best to hire an SEO specialist for. But what I can tell you, is that you can start the basics of your website’s SEO! You can set up Google Search Console and upload your sitemaps and robots.txt file to get your site indexed on Google. You can also start to SEO the pages and blog posts on your website so that they contain the right information that Google is looking for. But most of what you can’t do is the more technical side of SEO. Including the Schema data or even back-end coding of the website. Or if you really want to get into it, you need to make sure all of your local directory listings are correct. And you can’t do that on your own! 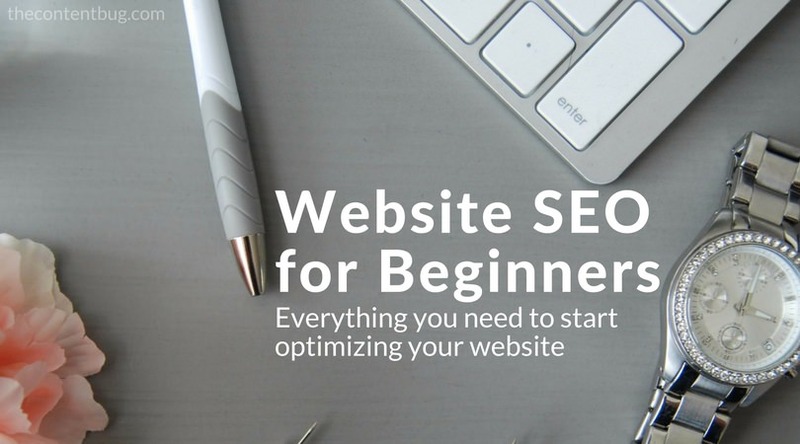 So as an SEO beginner, the answer is that you can SEO your website. If you can read an article and follow directions, then you can start to SEO your website TODAY! But when you are ready to dive deep into the depths of SEO, then it might be time to call a professional. There are several hundred things that affect your search ranking. So please don’t think that it is as simple as adding keywords to your content and installing Yoast. It goes way beyond the normal meta descriptions and keywords that I talk about on a regular basis. These are just the most simple areas that any SEO beginner can understand and perform on their own! Keywords in title tags, description tags, H1, H2, & H3 tags, etc. This list could go on and on. 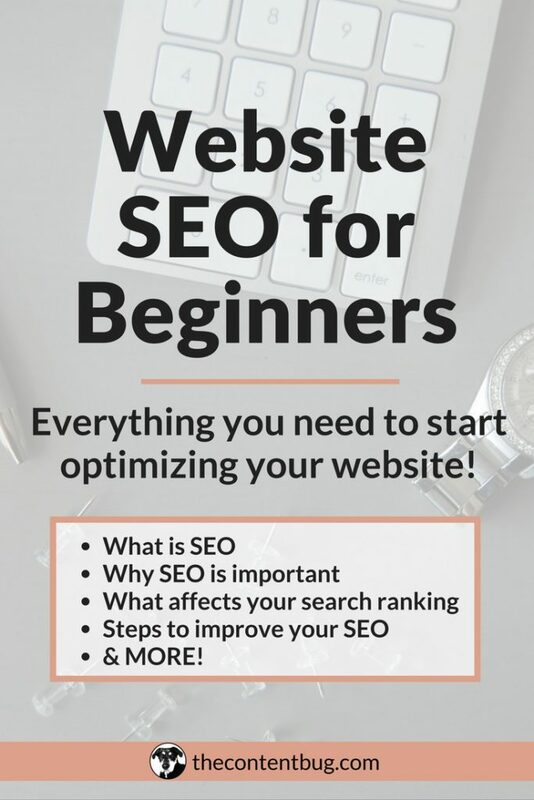 But I want to keep things simple as this is a guide to SEO for beginners. Now, you might be able to note which areas affect your website ranking in a good way or bad way. For example, if your website contains a lot of broken links or links that lead to nowhere, then that will negatively affect the ranking of your website. But on the other hand, if your website is mobile friendly and has a fast load time, these will both positively affect the ranking of your website. And if you want to learn more about the other ranking factors that I didn’t get the chance to mention, head over to Google’s 200 Ranking Factors: The Complete List on Backlinko. Now, after reading all of this, you might be wondering: How can I improve my website’s SEO? And lucky for you, I created a simple strategy that you can complete right now! Keep reading. Google Search Console is the foundation of your SEO. With Search Console, you get the chance to tell Google that your website exists by uploading your sitemaps and your robots.txt file. 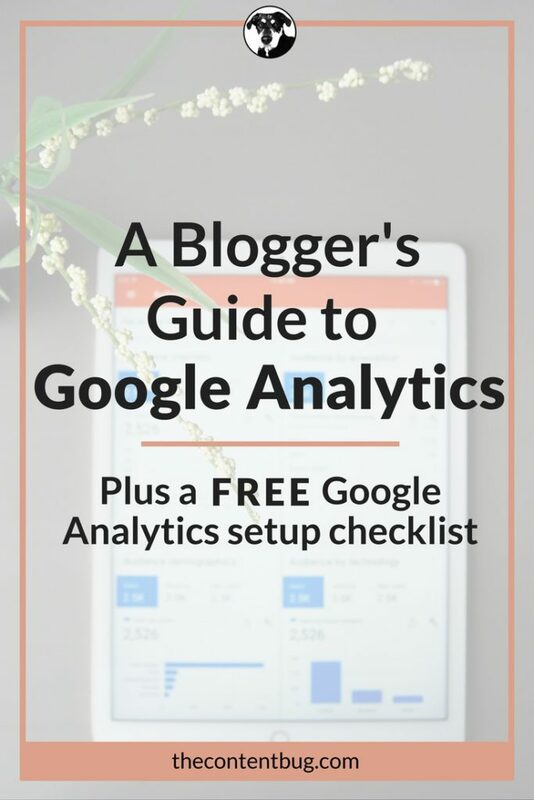 I’m not going to spend a lot of time talking about how to set up Search Console because I have a whole blog post that covers the topic! 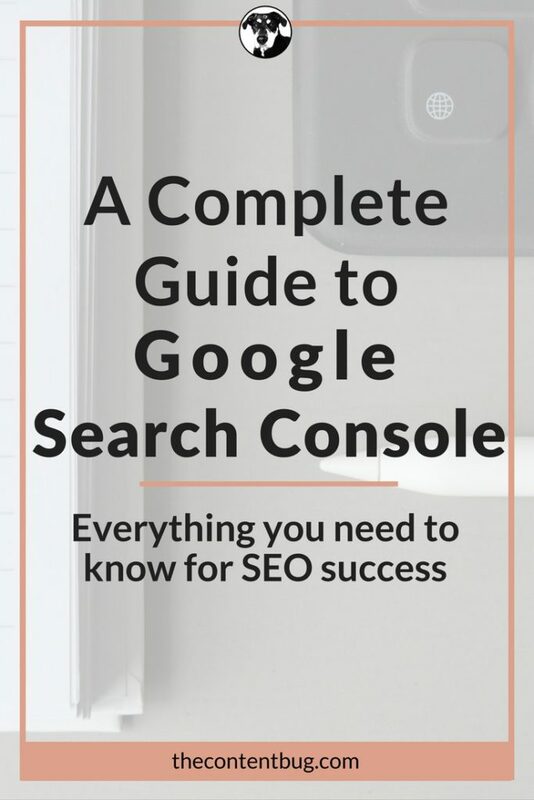 So make sure you head right over HERE to learn how to set up Google Search Console. If you have a WordPress website, then you need to install the Yoast SEO plugin! So go do that now. With this plugin, you gain access to your sitemaps, robots.txt file, metadata and more. Once it is installed, you can start to SEO your website’s pages and posts with ease! Take some time to strategically pick the keywords that you want to have on your website. And more importantly, the keywords that you want to rank for on Google! This can be done with keyword research through SEMrush or Keyword Finder. Both are great tools that you can use to see what your audience is searching for. Once you know the keywords you need to include on your website, create a list. Then plan pages or blog posts on those keywords. But remember that you need to focus on creating high-quality content! No keyword stuffing or randomly placing irrelevant keywords where they don’t belong. Google will see right through your BS. Now that you have Yoast installed and you know what keywords to include on your website, you can start to SEO your website’s pages. So start simple with your ABOUT or CONTACT page. Take a look at the content and make sure that it includes the important keywords that it needs. Then fill out the Yoast Snippet at the bottom of the page editor to set the SEO title, slug, meta description and the focus keyword! Once this information is filled in, you can review the Yoast Analysis to determine what areas need improvement. Go ahead and do this for every page on your website. It will take some time, but it will be worth it. Next, you need to do the same thing for your blog posts. 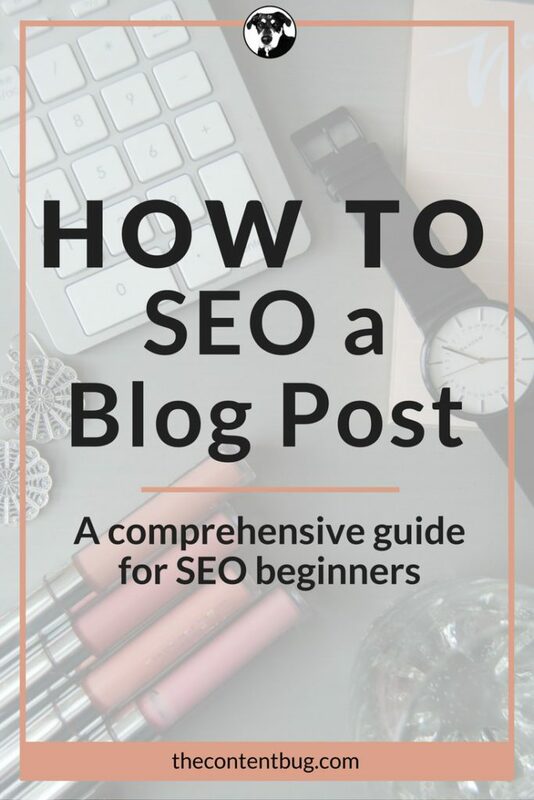 And lucky for you, I have a post that covers How to SEO a Blog Post! So read this post and then come back to learn the last 2 steps of this beginner’s SEO strategy. Optimizing your images takes work. And if you have had a website for years without thinking about image optimization, then you have some work cut out for yourself. In order to optimize your website’s images, you need to consider the size of the file, the name and the alt text that is attached to it. You never want to upload an image that is 1,384 KB with the file name IMAGE_245. This is terrible for your website’s SEO! Compress your images to a small size using JPEGmini. And change the file of the name to something that is descriptive and informative before you upload it to your website. And once it is uploaded, fill in the alt text information to accurately describe the image or the page that it was created to promote. For a more detailed walkthrough on how to optimize your website images, read this blog post! The last area that you need to focus on is the internal link structure of your website. This is not only important to help your audience to navigate and flow through your website, but it also helps the Google bot. Each page that is created on your website needs to link to other pages on your website. For example, all of my blog posts contain a section at the end titled “Keep Reading…”. This section holds 3 relevant blog posts for the reader (and Google) to jump to next. By doing this, I create an internal link structure for my website. Try to find ways to internally link to other areas on your website that are relevant to the content! And that’s it! By following these 7 steps, you are well on your way to improving your website’s SEO! Thank you lovely people for staying with me this long. Your focus and dedication to improving your website SEO will help you in the long run! And if you have any other questions about SEO, please send me an email! What is your biggest struggle with SEO? Let me know in the comments below! The blog was absolutely fantastic! Lot of great information which can be helpful in some or the other way. Keep updating the blog, looking forward for more content. Very informative! Another great article, I shared your pin 😉 have you converted over to AMP yet to make your mobile site faster? Funny enough, as much as I talk about SEO this is one area that I’ve been slipping on! No, I haven’t transitioned to AMP yet but I’ve been looking into it. It’s definitely on my list of things to do! Thanks for this article Cath! It’s going to help a newbie like me massively! This is some valuable information that we all can use. Having a strong SEO is vital for every website. Yes, it is extremely important! I couldn’t agree more, Jay!